An incredible ten years after the release of their debut album, Spanish brutalists Wormed are back. And although there’s a very slight lightening of their aural load, the band are almost as heavy, a brief bit of ambience opening first track Nucleon before the crunching battery flows in. As you listen, it becomes obvious that Wormed’s interstellar death metal is still very heavy, but has gained nuance and the decision to give itself a little time to breathe. Which is a good thing, I think – why try and beat themselves at their own game when Planisphærium is still one of the heaviest twenty-five minutes of death metal around? Exodromos instead heads for (relatively) left-field realms, introducing such concepts as infectious songwriting and moments of sheer atmosphere to their usual complicated mathematical themes, whilst making the likes of The Nonlocality Trilemma viciously brutal enough to soothe even the most desensitised death metal fan’s ears. The nearly six-minute Xenoverse Discharger is dementedly epic, like a sped-up Immolation, before devolving into blasts and riffs, focusing its gaze on the elements that makes it up with an extra touch of melody to make the introspection even more interesting. Being honest, I can’t think of a better follow-up to Planisphærium than Exodromos is. The added nuance given to tracks like Tautochrone where the riffs temporarily slow down behind the grunts, and even are experimented with for their full twisted effect is the sign of a band naturally maturing. Please don’t think Wormed have toned it down too much, however. Multivectorial Aeionization is a perfect summary of the album, fast, heavy, as dementedly gripping as prime Cryptopsy whilst taking time to rest between assaults. The sub-two-minute Darkflow Quadrivium takes a mid-paced chug and spoken word into a Meshuggah-esque wormhole of stop-start rage, while Stellar Depopulation is a grinding assault on the senses, breaking down repeatedly like a repetitive beating. It’s easy to be impressed by Wormed, but harder to place them in the wider universe of brutal death. This is not a real departure from brutal death metal in any way, shape or form, it obviously belongs to that universe. When compared, for example, to Defeated Sanity, it’s clearly two very different versions of brutal death – a very earthy and physical heaviness from the Germans compared to the Spaniads’ sci-fi escapism, even if it is a tale of human extinction. Ultimately, only those that choose to soak themselves in the subgenre will appreciate the nuance, but Wormed’s path, that of the harsher side of space, is just as valuable. 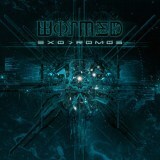 And although it’s not quite up there with Planisphærium, Wormed’s return is very welcome, and Exodromos will be seized on with relish by fans of extreme metal.